All this time, we have been learning about the difference between British and American accent. You know it when you hear it. But have you ever wondered how these two accents came to be? Online magazine Mental Floss tried to answer the big question in the article “When did Americans lose their British accent?” As you may have known, the history of these two countries are strongly related. The first English colony in the land that would be America arrived in Jamestown, Virginia, in 1667. They certainly carried the language and accent that they used in their homeland, England. So how did their accent change? Now here comes the most interesting part … It wasn’t the American accent that went through changes, it was the British accent! The current American accent is actually much closer to the ‘original’ British accent. We must first remember that British and American accents are very diverse. There are various accents used in the UK, such as Geordie, cockney, or Yorkshire. American accents also varied. There are Southern accent, and even black people have their own accent. Back to the story about the English colony in America. Remember, we first had the technology to record human voice in 1860. 300 years after the colony arrived, the difference between the British and American accents was already apparent. Since recording technology wasn’t available in those 300 years, we can’t say for sure when the change happened. But changes in British society might provide us the clue to the answer. To explain that, first we need to know the major difference between British and American accent: Rhotacism. Rhotacism is the excessive use of the letter ‘R’ in pronunciation. American accent is rhotic and speakers pronounce the ‘R’ in words such as ‘hard’. Meanwhile, British accent is non-rhotic, making the way they pronounce ‘hard’ sounds more like ‘hahd’. In the 19th century, there was a hot trend among the upper and upper middle class in southern England to become non-rhotic. The trend was to not pronounce the ‘R’. It became the signifier of class and status. This posh accent was later standardised as Received Pronunciation, and being taught widely by tutors to social climbers. Slowly but sure, the accent spread across England and is being used by people across levels and professions. 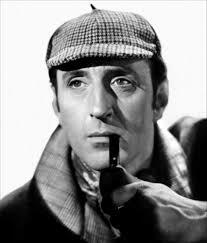 Across the pond, there were also societal changes that further strengthen the use of American accent. Big cities like New York, Chicago, and Detroit became the new centers of economic power in the region. The cities are populated by Scots-Irish and North English migrants. Southern English elites have no significance in there. The Received Pronunciation then lost its influence among people in the cities. Came to be. Arti: asal mulanya. Strongly related. Arti: berhubungan erat. Apparent. Arti: nyata, terlihat, tampak. Social climber. Arti: orang yg ingin meningkatkan status sosial (dengan memakai barang mewah, mengubah cara bicara). Across the pond. Arti: di seberang Lautan Atlantik, cara orang Inggris menyebut Amerika. Societal change. Arti: perubahan masyarakat. Further strengthen. Arti: semakin memperkuat. 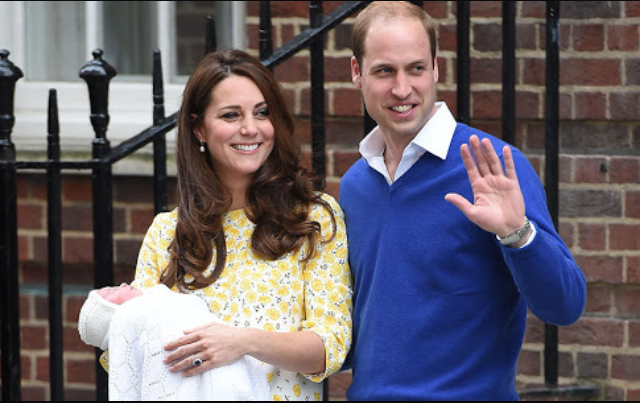 Bet you’ve heard about this today: Prince William and Kate Middleton had welcomed their 2nd child, a baby girl! So this is the perfect moment to learn some facts about the British monarchy! Queen Elizabeth II has been serving her country for more than 60 years. The Queen is a “Queen Regnant”, which means she became queen not because of marriage. She inherited the throne from her father. Will Kate Middleton ever be a queen? Contrary to Queen Elizabeth II, she will be a ‘Queen Consort.’ Queen Consort is when a princess becomes a queen by marriage. Based on her lineage, Kate Middleton turned out to be a distant relative of George Washington. Queen Elizabeth had declared the family surname to be ‘Mountbatten-Windsor.’ Mountbatten is Prince Phillip’s surname. However, anyone with a ‘His/Her Royal Highness Title Prince/Princess’ does not usually require a surname. When a Royal Baby is born, a town crier will announce it in front of the hospital wing. Two footmen will then place an official declaration outside Buckingham Palace. Two footmen will then place an official declaration outside Buckingham Palace. Hospital wing. Arti: bangsal rumah sakit. Camilla, Duchess of Cornwall, wife of Prince Charles does not use the title ‘Princess.’ The decision was made out of respect to the late Princess Diana. Out of respect. Arti: demi menghormati. Every Tuesday, the Queen will hold a meeting with the current British Prime Minister. Using a postage stamp with the image of the Queen in the wrong way can be seen as a treason. Treason. Arti: pengkhianatan terhadap negara. Those are my fave facts about British Royal family. Do you have any fave facts? Fellas. Have you ever wanted to study from the world’s best teachers … Without having to leave the comfort of home? Today we’ll talk about the coolest new innovation in education: MOOCs! What is MOOCs? No, it’s not the sound that cows make. MOOCs stands for Massive Online Open Course. MOOCs is basically a form of distance learning. In our grandparents’ days, people who live in remote places can get education by doing correspondence. Remote places = tempat terpencil, correspondence = surat-menyurat. In the end, they got a certificate. And guess what? MOOCs lessons are available for free! There are also paid MOOCs courses. The difference is what you can do with the certificate. You can use paid MOOCs courses to enroll to universities. With the unpaid version you can only use it to apply for jobs. If you go to those sites, you can find lists of universities and the courses they provide, from business to music. MOOCs operate under the idea that education and information should be free for all, not limited to those in universities. Distance learning was pioneered by the Open University, United Kingdom, in 1971. It uses the BBC to broadcast classes. The model was so successful that other countries began to follow suit, including Indonesia with Universitas Terbuka. Follow suit = mengikuti jejak langkah. Sir John Daniel, former CEO of Commonwealth of Learning, refer to open universities as ‘mega universities’. Because there is no limit to the number of students an open university can have. The Internet era introduced us to the concept of ‘Open Content’. Open Content is when learning materials are widely available in online platform, so it can be accessed for free by anyone. MIT was the first university to declare that all its materials will be accessible for free online. MIT’s OpenCourseWare program inspired UNESCO to coin the term ‘Open Educational Resource’. University of the People (http://t.co/NvzwSp8Gjf) took it even further. Not only that they distribute materials, they also have experts donating time and knowledge to teach via videos and recordings. Took it even further = mengembangkan lebih jauh lagi. MIT and Harvard then collaborate to build http://t.co/qQOtIzvTJt. They are only some of the many universities taking part. Do you want to know how popular it is? Well, for example, Stanford University’s first MOOCs class was “Intro to Artifical Intelligence”. There are 160,000 students enrolling in that program alone! Imagine having 160,000 classmates from all over the world. Interestingly, these top universities are actually not the first to come out with the idea of using Internet to teach. 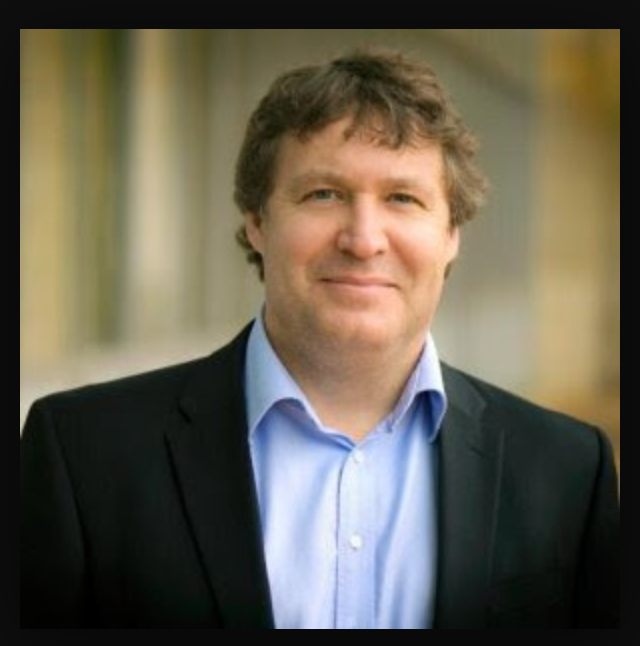 George Siemens from University of Manitoba, Canada, was the founder of MOOCs. With Stephen Downes, he conducted his classes online and for free to the public, other than 25 of his own students. Siemens began his innovation in 2008. He was concerned because education is available only to those attending universities. His innovation had enabled people to get greater access to education. In 2012, University of Miami launched Global Academy, the first high school level MOOCs. Reduce cost = Mengurangi biaya. The class was ‘Intro to College Writing’ by University of California, Berkeley. Great way to help improve English writing skills. Have any of you tried MOOCs classes? How was your experience? Source: Wikipedia, Tian Belawati – Pendidikan di Era Keterbukaan. Compiled by @animenur for @EnglishTips4U on Sunday, 26 April 2015. First weekend of year 2015! Woohoo! Do you see the word “line” in a different way? Happy International Women’s Day! Here’s to a better future for all women! What is International Women’s Day or #IWD? Let’s learn about the history of this global movement. Every 8 March, the global community celebrates women’s economic, political, and social struggles and achievements. Purple is the color associated with this international day, as seen in their logo. In some countries, #IWD is celebrated as a national holiday. For example, in China women are given half-day off. In 1977, United Nations General Assembly declared 8 March as #IWD, the United Nations Day for women’s rights and world peace. However, the history of #IWD goes way back before 1977. It is said that even in developed country like Germany, women were not allowed to vote until 1918! The first National Women’s Day is celebrated in the United States on 28 February 1909. The day was established based on a declaration of Socialist Party of America. In the beginning, International Women’s Day is strongly tied to socialism, but as women movement spread worldwide it became more universal. In 1910, the second International Conference of Working Women was held in Copenhagen. In the event, activist Clara Zetkin proposed the idea of #IWD. Some countries can use it as momentum to press for women’s rights and the idea was approved unanimously. International Women’s Day was celebrated on 19 March 1911 in Austria, Denmark, Germany, Switzerland. Why did it changed to 8 March? Because there are many significant events related to women movement happened on 8 March. In 8 March 1914, Sylvia Pankhurst led a march in London for women’s right to vote. She was arrested n continued the struggle behind bars. In Russia, the February Revolution also happened on 8 March 1917 where the women marched to demand for “Bread and Peace”. So! How do you celebrate the day, fellas? What do you think is the most urgent problem for women in Indonesia and the world? Compiled and written by @animenur for @EnglishTips4U on Sunday, 8 March 2015. Have you read the novel To Kill a Mockingbird by Harper Lee? It’s available in English and Indonesian. 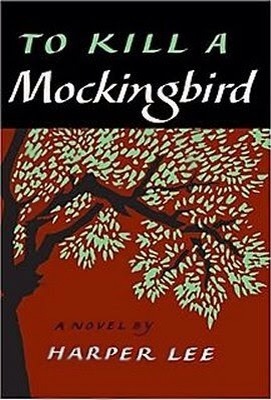 To Kill a Mockingbird (TKM) is known as one of the greatest novels in American literary. Imagine: Waiting 55 years for a sequel! (And I thought Sherlock Series 4 took forever to make). TKM is being taught in schools all over United States. Students read and review them in English classes. Even British librarians claimed TKM as one of the ‘books you must read before you die’. What makes TKM so special in the heart of American society and book lovers? A little girl named Scout lives in Alabama during the time of segregation. She is the daughter of a lawyer, Atticus Finch. Segregation = Kebijakan hukum yang membatasi hak warga kulit hitam di AS pada tahun 1960-an. Atticus created an uproar when he decided to defend an innocent black man, Tom Robinson. Created an uproar = Menimbulkan kontroversi/kegaduhan. Even though Tom was innocent, as a black man he does not deserved to be defended by a white lawyer like Atticus. TKM tells the story of their struggle through Scout’s eyes. She also meets a mysterious man, Boo Radley. TKM is important because it speaks of social injustice from the perspective of a child. It teaches us not to judge people based on their appearance, also not to be believe in negative stigma. Even in this modern era, racism prevails in many places in the world. Which is why the lessons in TKM remains relevant. This is why the world is excited about the publicity of its sequel, coming soon in July 2015. Not only because it is a great book, but also because the author is known to dislike her popularity. Harper Lee refused to do any interview with media after TKM became very popular. Which is why some people expressed concerns when the sequel is announced. They fear that Lee is being pressured to publish it. Express concern = menyatakan kekhawatiran. They fear that Lee is being pressured to publish it. But Lee denied the claim. She originally wrote the sequel to be published instead of TKM. But her editor thought the story would be more interesting if being spoken from a child’s perspective. What do you think, fellas? If you’ve read TKM, are you excited about the sequel? If you haven’t, would you like to try it? @rsmno: @EnglishTips4U YES! TKM has hit my heart so deep. Can’t wait for the sequel. @bakahikki: @EnglishTips4U good author.. keep making masterpiece !! ‘Baby’ is an endearing term people use to call their husband/wife, boyfriend/girlfriend in the English language. Almost every love song will have the word ‘baby’ or ‘babe’ in it. Have you ever wondered where did the term came from? People started to use the term to describe a romantic partner in America around 19th century. At first, men used ‘baby’ to call each other without any romantic feeling to it. (How time has changed!) That was in 1835. In 1911, Oxford English Dictionary began to list ‘babe’ with romantic connotation. The word didn’t show up again until 1960s, in a letter by General H. M. Naglee. Starting in 1915, ‘baby’ began to be used to describe an attractive woman. But only in 1975 that ‘baby’ began to used to describe attractive men. Notice how the meaning had changed rapidly from 1835 to 1975 alone. Katherine Connor Martin, head of US dictionaries in Oxford English Dictionaries, explained the different terms people had used to call their loved ones throughout the ages. Words like ‘honey’ and ‘sugar’ began to be used in early 20th century. Whilst ‘cinnamon’ and ‘honeysop’ were popular even between 1400-1500s. 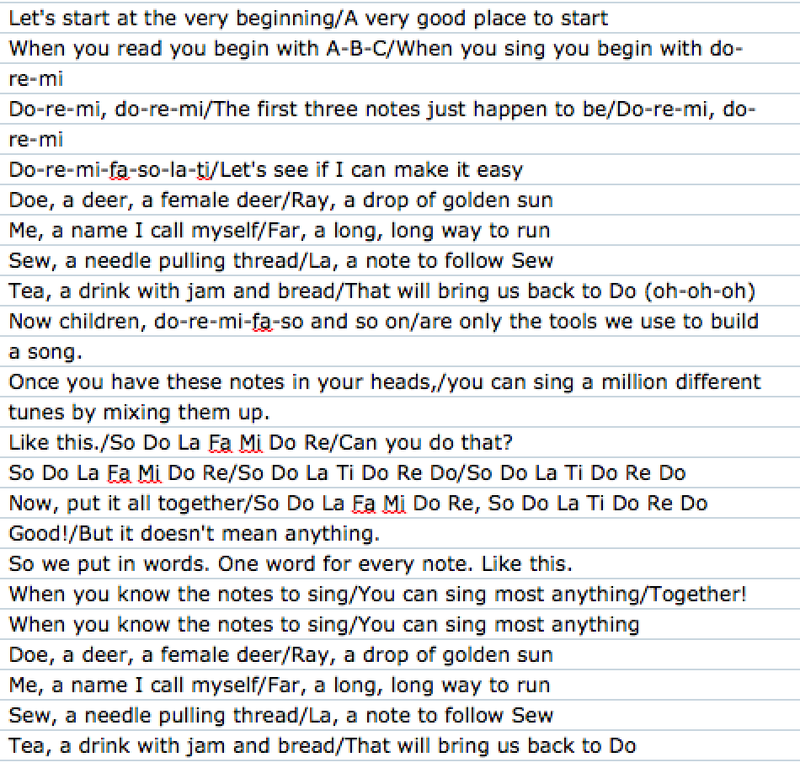 Even ‘lamb chop’ was commonly used in 1960s. Hm… I love you, dear lamb chop. According to Connor Martin, American English played a big role in spreading the use of ‘baby,’ especially through pop music. Today, ‘baby’ is used to describe both a human child and someone attractive. Whilst ‘babe’ is exclusively for someone attractive. Even in Indonesian language, we often see ‘beb’ being adsorbed in our daily life. Is there any endearment term you’d like to share with us? “Can anything be done to facilitate the task of learning to spell English words?” Crystal believes yes, although.. Crystal creates this book to break down the spelling problem. He does it by EXPLAINING it. Been reading “Fever” by Mary Beth Keane in the past weeks. Anyone here ever heard of Typhoid Mary? @neysaaeve: it’s typhoid fever, one of Indonesia’s endemic tropical infectious disease. Yup, that’s her! The story of Typhoid Mary is one of the most intriguing in the history of public health! Imagine New York City at th dawn of 20th century. Not as developed as it’s now, but it’s a bustling city filled with immigrants. The authority tried to track down the source of the outbreak. And they noticed that every family which member had been contracted with the disease had once employed a cook named Mary Mallon. Mary Mallon was an Irish immigrant who migrated to the US when she was 15 years old in 1883. When she worked in Oyster Bay area, 10 of the 11 family members that she worked for developed thypoid. Suspicion arised when it is revealed she herself had never been sick with thypoid fever. George Soper, a researcher, noticed a certain pattern: Thypoid cases seemed to follow wherever Mary had worked. She had a habit of resigning from her work as soon as the outbreak happened. Soper began to approach her to talk about the disease. He wished to persuade her to quit. Mallon did not take this very lightly. (Tidak menerima begitu saja). When they finally arrested her, Mallon took on a violent rage. She kicked and punched the officers. Violent rage = mengamuk hebat sampai mukul2. They took her to a quarantine where they subjected her to various tests. They found out that there are Thyphoid bacteria in her gallbladder. Mallon turned out to be a healthy carrier of Thypoid. She has the bacteria in her system, but immune to it. Despite admitting poor hygiene habit, Mallon still rejected the accusation of her being the cause of the outbreak. She didn’t believe a healthy person can possibly spread the disease to other people. She kept on fighting for her freedom. There were also many people who supported her case. She managed to get a lawyer to defend her case. She finally managed to be released under the condition that she should never work as a cook again. At first, everything was all right. But then Mallon got back into working as a cook again. This time, in a restaurant. The end was predictable. More people got infected and died because of the disease. Mallon then was taken back into a quarantine. This time, it’s permanently. November 1938, she died of pneumonia in her isolation. The book that I showed you earlier tried to tell the story from Mallon’s perspective. When I first heard about her, I though Mallon was an evil woman who did not care at all about others’ wellbeing. But then this book made me realise that it does get lonely to be in her position. So yeah, the moral of the story is to take seriously the advice to wash your hands thoroughly. Source: Fever by Mary Beth Keane. Compiled by @animenur for @EnglishTips4u on Sunday, 23 November 2014. So, does anyone know which countries that speak English well despite it is their second language? “@arifdarmawan88: India?” Yes, anywhere else? Can you guess why are they good at it, fellas? Ada yang bisa menebak mengapa negara-negera seperti Swedia, Belanda bisa memiliki keahlian bahasa Inggris yang cukup tinggi? “@Yusuke3192: they’re proud to their own language (? )” if so, why would they learn English well? “@nythaata: because their languages are the same type with English. Germanic.” I missed yours! And in the Netherlands, only in Amsterdam you can find transportation warnings in English. In Stockholm, Sweden there are none. Even though Sweden and Netherlands are good in English speaking wise, they don’t forget their culture and language. So being able to speak English well as a second language does not mean that you have left your own. “@Wesli_S: I think before English become a global language, Esperanto become global language first.. (cmiiw)” What’s Esperanto? Hello, fellas! How was your first day of fasting? What did you have to break the fast with? Share us some pictures! June and July are super exciting months. There’s the Election, Ramadhan … And of course there is FIFA World Cup! Today’s #EngKnowledge topic is strongly related to football – or as the American people call it: Soccer! Do you know why British people call it ‘football’ whilst American people call it ‘soccer’? Stefan Szymanski, a professor at University of Michigan, explained how in his recent paper. Funnily enough, the word ‘soccer’ was first used in United Kingdom some 200 years ago. The word ‘soccer’ comes from the official name of the sports itself: Association Football. The game developed into different versions, including the Rugby Football. To tell the difference between each game, the Brits uses the term ‘rugger’ to refer to Rugby, and ‘soccer’ to Association Football. In 1980, soccer became popular in the US with the rise of North American Soccer League. Gradually, the term ‘soccer’ gained popularity in the US because it helps distinguish the game from American Football. At the same time, British publications had begun to use ‘soccer’ less and less. They felt it was “too American”. They decided to go back into calling the game “football”. Apparently, many British are not too happy with Americans calling their favourite game ‘soccer’! Compiled by @animenur for @EnglishTips4U on 29 June 2014. Hi, fellas! Pernah nggak sih kalian salah mengucapkan sesuatu sewaktu lagi ngobrol? Di Bahasa Inggris hal ini juga sering terjadi, dan saking terbiasanya orang salah mengucapkan malah jadi dianggap benar. Berikut adalah beberapa kesalahan pengucapan yang terjadi di dalam Bahasa Inggris. Kata-kata yang dulunya diawali dengan “n”. “Adder”, “apron”, & “umpire” dulu diawali dengan huruf “n”. Dulu, “n” di “a nadder” dianggap bagian dr kata sebelumnya. Sehingga orang menyebutnya jadi “an adder”. Proses ini disebut “reanalysis” atau “rebracketing”. Bunyi yang tertukar. “Wasp” dulunya adalah “waps”, “bird” dulunya adalah “brid”, dan “horse” dulunya adalah “hros”. Proses ini disebut sebagai “metathesis”, dan hal ini sangat umum terjadi. Ketika bunyi menghilang. Banyak huruf-huruf di dalam Bahasa Inggris yang nampak di tulisan namun tidak terdengar saat dilafalkan. Dulunya, “Wednesday” disebut sebagai “Woden’s day” (dinamakan sesuai dengan nama Dewa Nordik). Siapa juga yang sekarang melafalkan huruf “t” di kata “Christmas”? Proses ini disebut sebagai “syncope”. Ketika huruf “l” menghilang. Huruf “l” diucapkan dengan cara mengangkat bagian belakang lidah ke atas. kebanyakan orang mengangkat lidah ini sangat tinggi sehingga huruf “l” terdengar seperti huruf “w”. Sekarang, hampir semua orang menggunakan “w” untuk mengucapkan kata “folk”, “talk”, and “walk”. Jadi seperti apa? Tentunya begini: “fowk”, “tawk”, dan “wawk”. Proses ini disebut “velarisation”. Ketika ada bunyi asing yang muncul. Tahukah kamu, “thunder” dulunya disebut “thuner”, sementara “empty” dulunya disebut “emty”. Sementara itu, banyak orang menyebut “hamster” menjadi “hampster”. Proses ini disebut “epenthesis”.